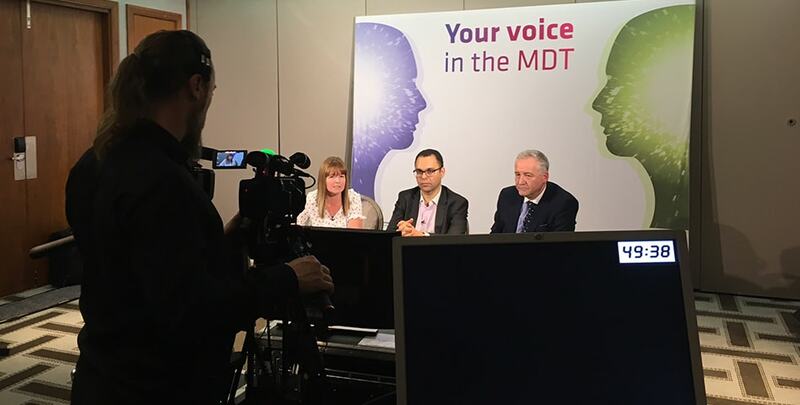 Pb were asked by a major pharmaceutical company to create an online platform that could deliver a series of lectures over a 4 month period, where health care professionals could watch (live and remotely) a panel of experts discuss recent findings, indications and case studies. Working with our webstream partner, the online platform was designed and tested in collaboration with the medical communications lead and the end client. This platform was easy to navigate, intuitive and had dedicated technical support both before and during the meeting. Its dual aspect meant that viewers could choose between full screen slides, presenters or a mix of the two. Viewers were also able to submit questions live to the panel that were then addressed throughout the presentation. Live reporting of number and duration of login enabled the client to focus their invite list for the following lectures to ensure that the number of customers engaging with the one hour meeting increased over time. Venue requirements for this set up are minimal, with a dedicated, non-contested hardwired internet connection with a minimum of 5mb upload speed and an analogue phoneline for audio backup. As a result of the successful series of meetings, the client has now adopted the same approach in a number of other areas of the business to reduce the cost spent on travel and time off the road for their sales force and increased engagement with the customers and key opinion leaders.